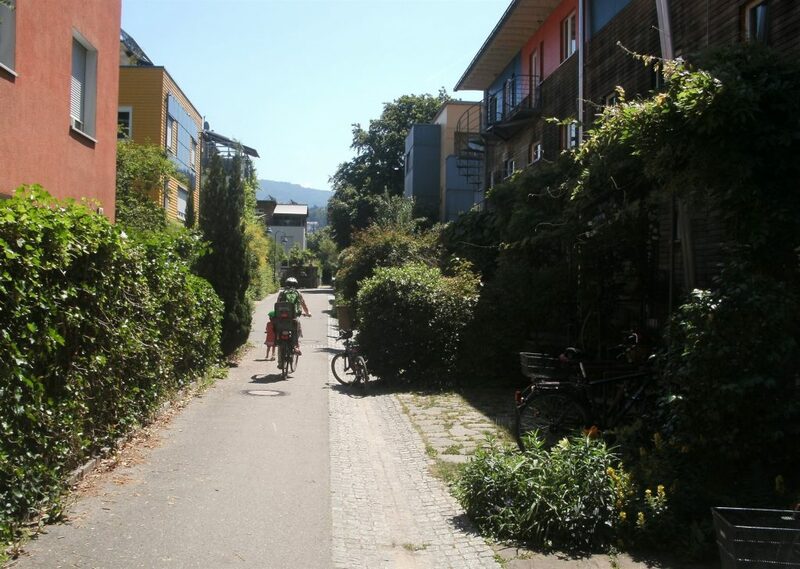 During my time in Freiburg, Germany, I paid a visit to two outlying suburbs that have become poster-children for sustainable development. 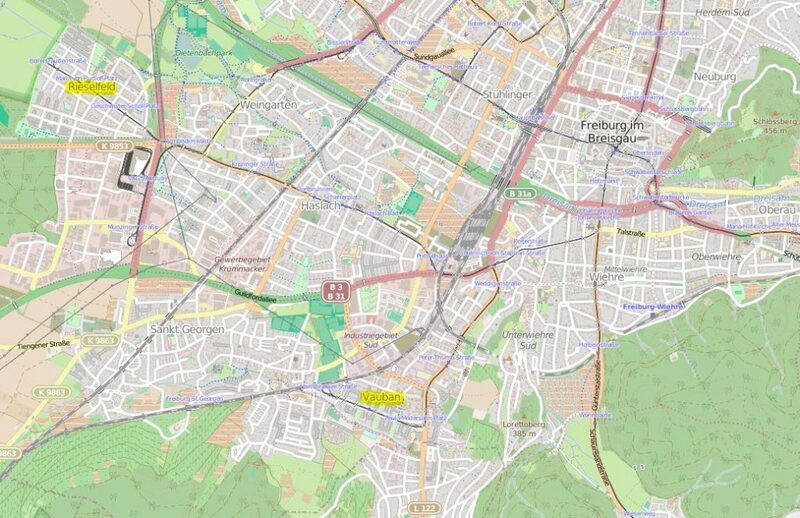 Vauban and Rieselfeld lie to the south and west of central Freiburg respectively, with about 6-7000 people in each area. Development of both areas started in the early 1990s with a deliberate aim to minimise energy use in all aspects, including transport. Both suburbs have similar layouts. 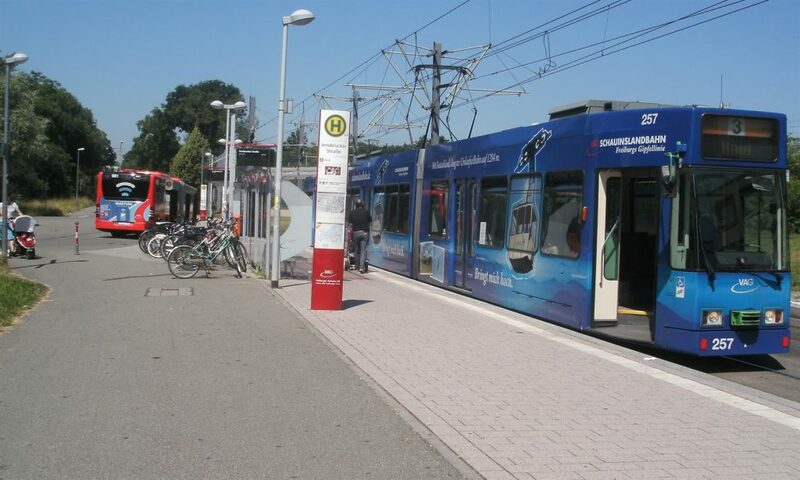 Centred around a tram-line spur with three tram stops, everyone is within 500m of this route. Development is at a very “human” scale, with buildings no higher than five storeys. The central corridor is where most of the commercial activity is located, such as shops and civic facilities. 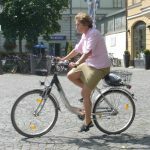 There are typically only a couple of ways in and out by motor vehicle, with additional biking accesses as well. 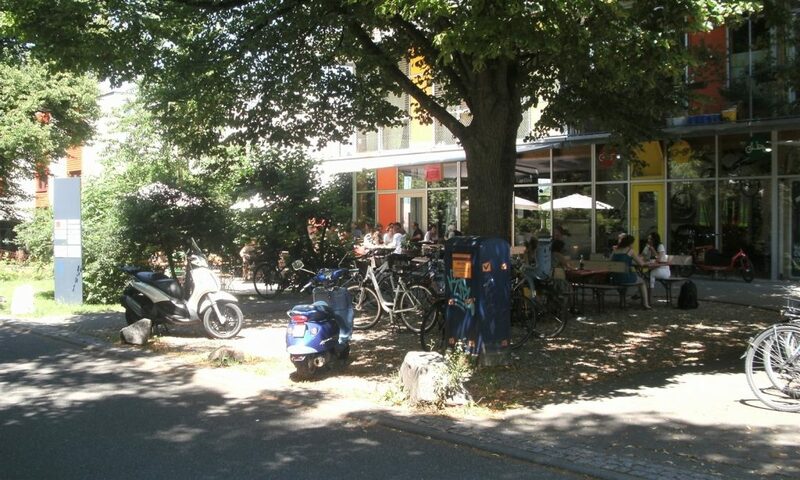 While motor vehicle ownership is discouraged (largely through additional charges for a parking space), there is still plenty of parking on site although much of it is often either underground or on the fringes. The street/path layout is the key however to encouraging other travel modes, by making it generally more convenient to get around by a combination of walking, biking and public transport. 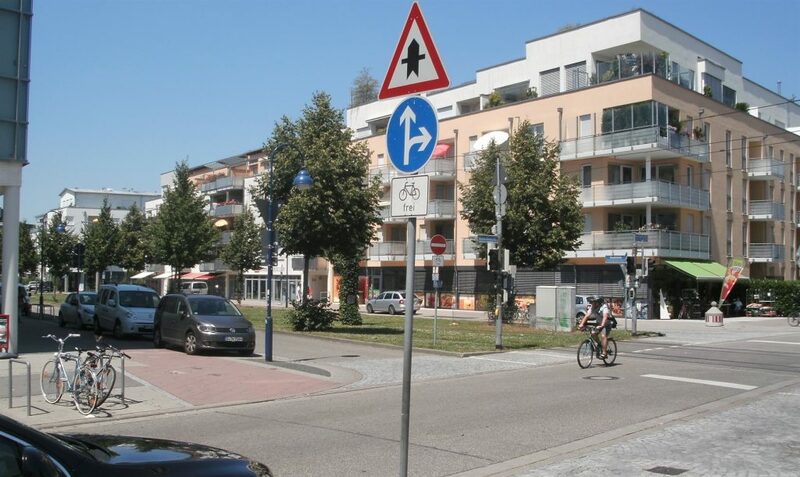 Parking restrictions are stronger in Vauban; as a result, ~70% of residents there don’t own a car (they also have a “car share” club for when one is needed). 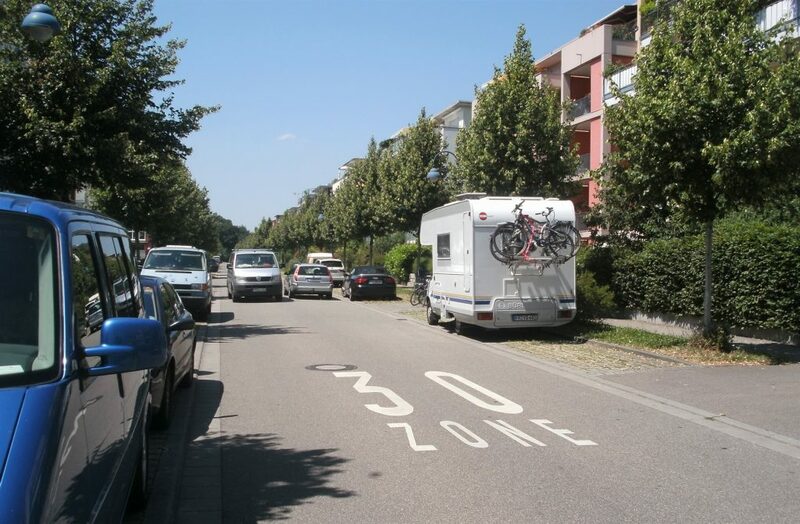 As well as a standard 30km/h speed limit, both suburbs also have many “play streets” where cars are guests. 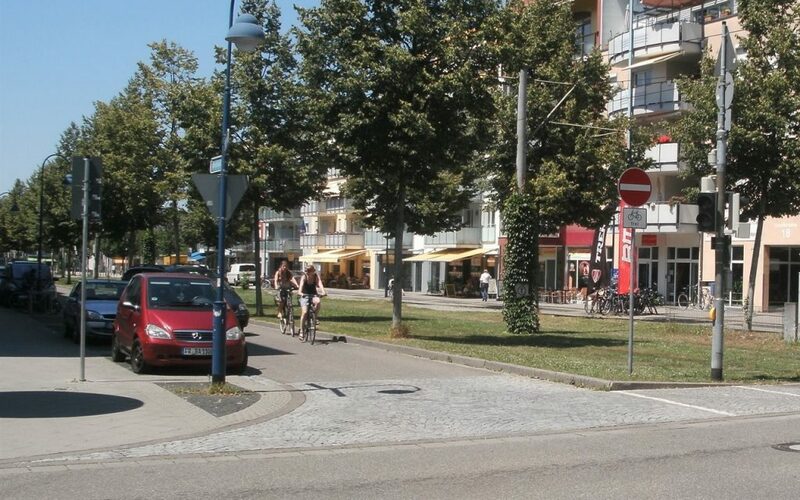 This makes them attractive for pedestrians and cyclists to use. 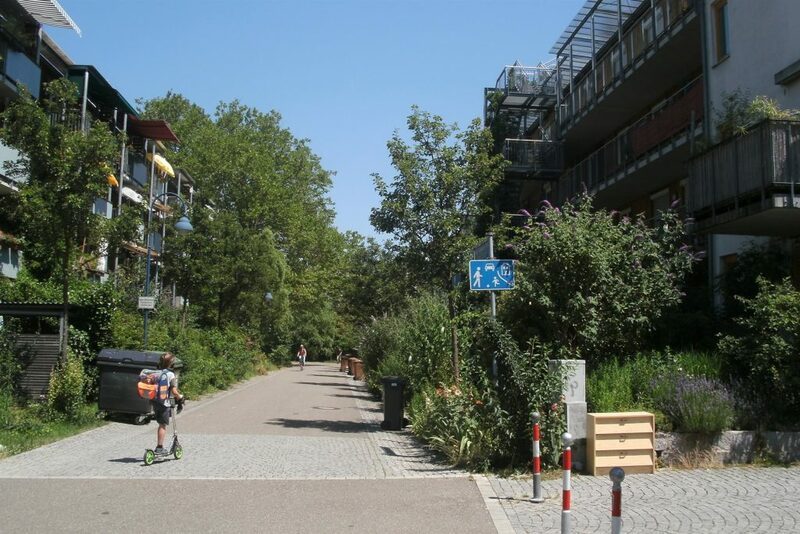 Off-road pathway connections also make it more convenient to get between the circuitous network of dead-end and loop streets. 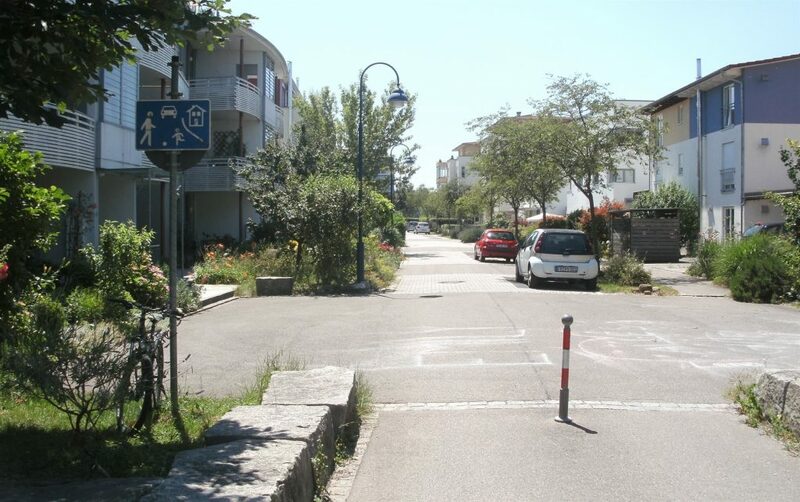 One-way street restrictions for cars are also relaxed for those biking. 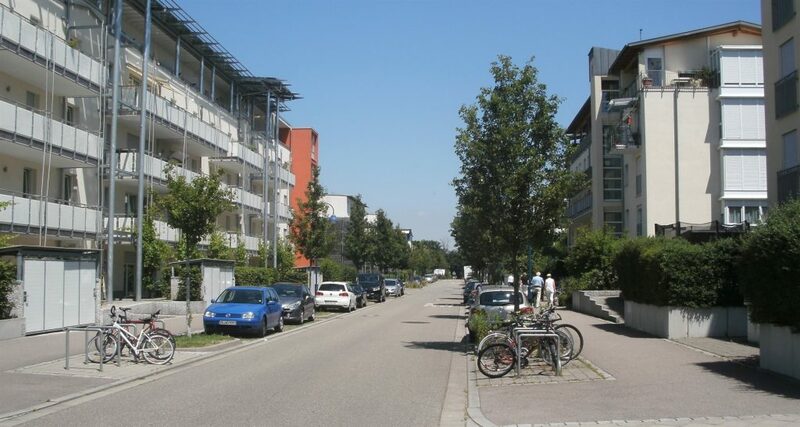 Although they present many similarities, Vauban and Rieselfeld do have different appearances. 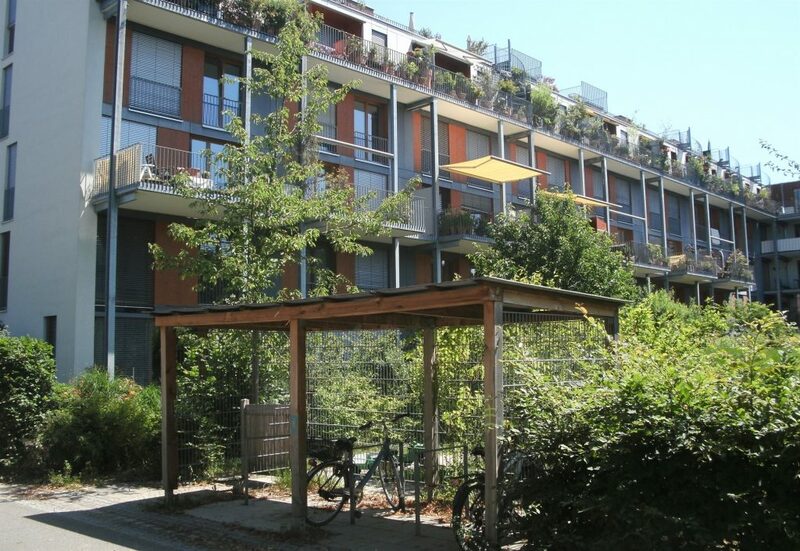 That seems to be partly a consequence of how they have been developed; while Vauban’s development was largely driven by interested locals engaging with the City Council, Rieselfeld is more centrally planned by the Council who then engage traditional developers. Both models have their pros and cons; most importantly they both feature extensive community engagement regarding what people want for their area. 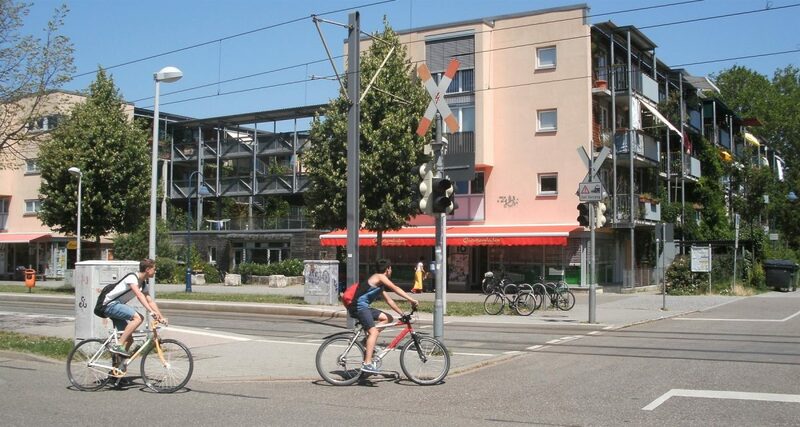 Both Vauban and Rieselfeld demonstrate that, with good community input and Council oversight, it is possible to create new suburbs that embrace travel modes like cycling from day one. Can Christchurch’s new suburbs follow similar patterns? 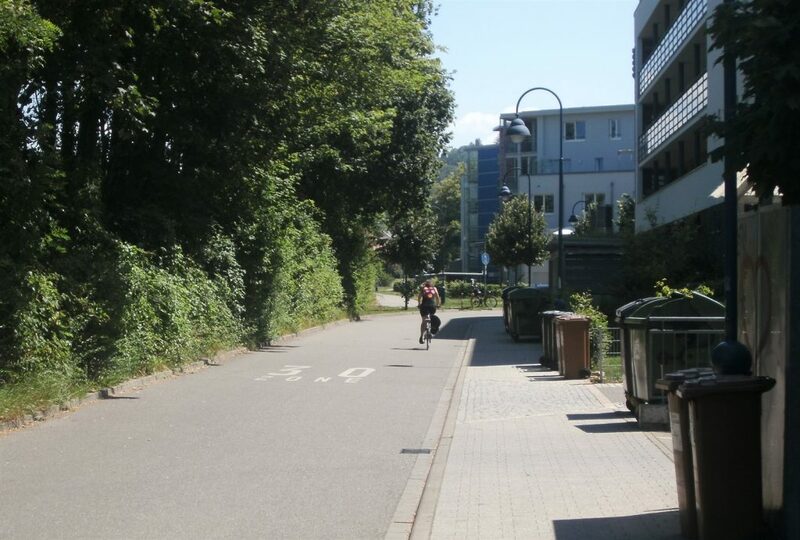 I went into to town today and was really pleased to see to some separated cycle paths in construction. Would have thought this would happen a few years ago? Now I am really wondering whether we could take to the next level and are going to see more of these traffic calmed streets. It would be so great to have kids play on a lot of these non-arterial suburban roads again!! !